(16/P71) TRENTON – As a result of continued dry weather, the Department of Environmental Protection has issued a water supply drought watch for most of northern New Jersey, Commissioner Bob Martin announced today. The DEP is urging residents in the affected areas to voluntarily conserve water and for the rest of the state to practice wise water use due to continued dry weather that is impacting levels in reservoirs, lakes, rivers and streams as well as shallow ground water sources. The drought watch affects the Northeast, Northwest, and Central regions. 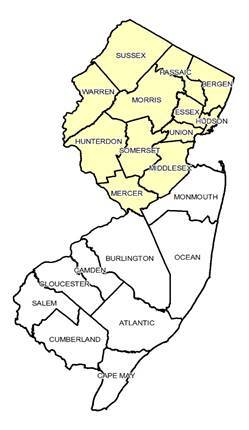 These regions include all of Bergen, Essex, Hunterdon, Hudson, Mercer, Middlesex, Morris, Passaic, Somerset, Sussex, Union and Warren counties. The purpose of the drought watch is to raise public awareness, formally alert all water suppliers in the affected regions, and seek voluntary cooperation to preserve existing supplies. The goal is to moderate demand should dry conditions persist. “We have been carefully monitoring precipitation, reservoir storage, surface water and ground water conditions,” Commissioner Martin said. “The northern part of the state, which is very dependent on reservoirs, has experienced some of the driest conditions in the state over the past several months. Conditions in other parts of the state, though not as severe, are showing signs of stress, and residents of these areas should also conserve water. “We advocate for conservation of water at all times, but are urging residents to be especially aware of the situation and use water more carefully, especially when it comes to lawn watering and other non-essential uses,” Commissioner Martin added. Precipitation deficits over the past 90 days are as much as 40 percent below average in many parts of northern New Jersey, while deficits in central New Jersey are more moderate, ranging between 10 and 25 percent. Precipitation has been above average only in the southernmost counties of Atlantic, Cape May, Cumberland, and Salem. • Do not over-water lawns and landscaping. Two times per week for 30 minutes in the morning or late evening typically is sufficient. Use a hose with a hand-held nozzle to water flowers and shrubs. • Avoid watering lawns and plants during the heat of the day, since much of this water will evaporate without helping the lawn. • Use a broom to sweep the sidewalk, rather than a hose. 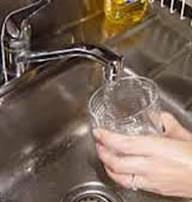 • To save water at home, fix leaky faucets and pipes. • Turn off the faucet while brushing teeth and shaving. • Run washing machines and dishwashers only when full. Reservoirs are the primary source of drinking water in the Northeast Region, with a total of 12 reservoirs and a combined capacity of 70.6 billion gallons. While combined reservoir storage throughout the region remains relatively good, some are showing declines that are steeper than the long-term summertime averages due to lack of rainfall and increased demand. Two reservoir systems will warrant careful observation if the dry trend continues – Suez Water-NJ’s Oradell system in Bergen County and the North Jersey District Water Supply Commission’s Wanaque system in Passaic County. The concern is that these systems could become particularly stressed if dry conditions persist. These two systems are critical to the region, accounting for roughly two-thirds of the total storage volume and serving some of the most densely populated areas of the state. Both systems have dropped to below 80 percent of capacity, about eight percent lower than usual for this time of year. If conditions remain warm and dry and water demands do not decrease, the DEP will consider further regulatory actions, such as the designation of a drought warning. Under a drought warning, the DEP may order water suppliers to develop alternative sources of water or transfers of water between areas of New Jersey with relatively more water to those with less.